So Valentine’s Day is right around the corner! If you’re looking for a little inspiration, I’ve got just what you need. Something classic and easy to do even if you’re not big on makeup. What makes this look so easy is that there was no shadow, just a sharp, dramatic liner with some lashes. 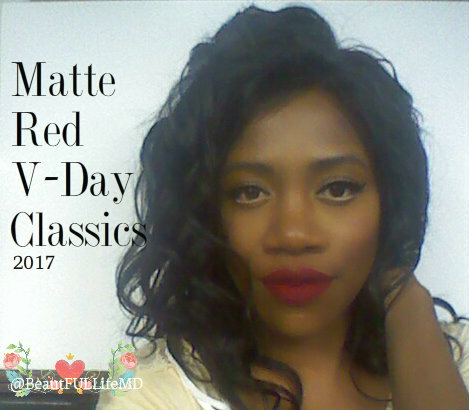 The whole look is quite sharp and matte with almost no glow, contouring for clean lines and the perfect fire engine red. Romantic waves and curls finish off the look. Simple, but glam! Products are listed below! Click the video below to see how it’s done.